Lawyer Checker is pleased to be attending this year’s annual conference and dinner hosted by the Conveyancing Association (CA). 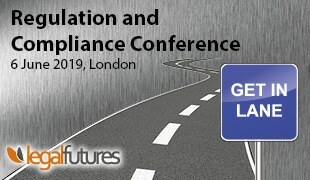 Due to be held in London next month, the day event, sponsored by Info Track, will offer presentations from a range of industry experts on upcoming developments and forthcoming changes set to impact the sector. The CA evening Dinner, sponsored by the ESTAS Awards, will provide attendees with the opportunity to socialise with colleagues as well as network with other professionals in an elegant setting. The CA Conference is set to be one of the most significant events on the conveyancing calendar; if you’d like to find out how you can attend on the 7 December, please click here. The event is a fitting end to yet another successful year for Lawyer Checker, having seen growth within our market share, as well as within our team. In between refining our own processes and becoming even more established in the legal risk-management market, we’ve attended a number of key events on the conveyancing calendar, and have even had one of our campaigns shortlisted for an award. As well as our Managing Director Chris Harris co-charing the Modern Law Conveyancing Conference, we also hosted a number of expert sessions at the Law Firm Services event, focussing on transparency in the sector as well as fraud prevention. Having spoken to a variety of professionals at events throughout the year, it’s clear that awareness of the risk of fraud is growing, as is the proportion of firms choosing to take preventative steps. This was further enforced by this year’s Risk Outlook, which highlighted protection of client funds as one of the key areas for professionals to be alert to. Published by the Solicitor’s Regulation Authority, the Outlook referenced a number of instances where email modification fraud had been used and advised considering the use of Lawyer Checker to verify that the bank details for a third party law firm are genuine. Whilst it’s obvious that awareness of fraudsters is growing, so too is the techniques and technologies that they utilise – something which recent cases have made clear. Failure to carry out sufficient due diligence has resulted in a number of solicitors and even entire firms being rebuked after money was sent to a criminal account. Whilst making any mistake is unfavourable for all involved parties, it’s even worse when the consequences could have been avoided so easily. Although it’s reassuring that more and more firms are implementing Lawyer Checker searches into their everyday processes, the fact that thousands are still being lost to third-party criminals indicates that sufficient steps are still not being taken to protect client funds. Whilst protective measures are important, their effectiveness is significantly reduced if they don’t form part of standard practice. The cases mentioned above always involve a firm being caught out, having failed to check the legitimacy of account details on just one occasion – that’s all it takes to fall victim to a fraudster. Ensuring that sufficient checks are taken initially means that the fraudster never has the chance to get away with client money, even if they do target your firm. This is why prevention really is the best form of protection. Make sure that you know who you’re sending funds to – by implementing Lawyer Checker’s Account and Entity Screen and Consumer Bank Account Checker, your firm can demonstrate that the protection of client money is paramount in the fight against fraud.